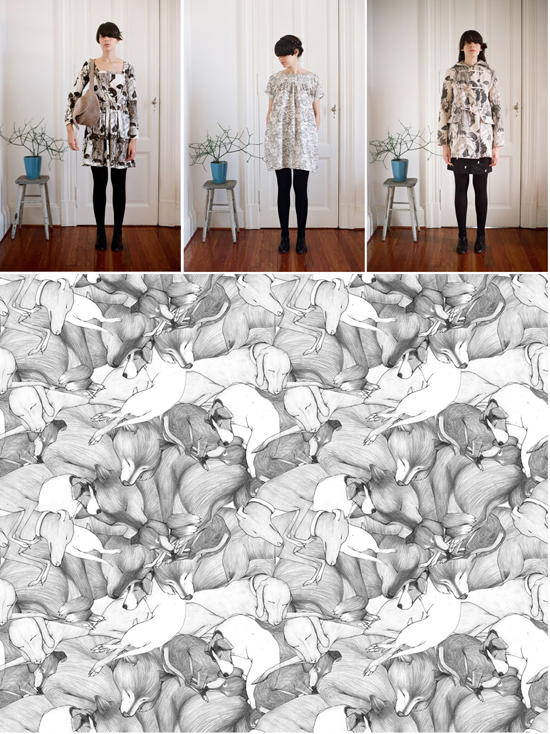 Talented to the square root, Ana Laura Perez, is an illustrator and fashion designer student based in Buenos Aires. She has been working hand in hand for a few seasons with Valeria Pesqueira, a local fashion designer that has her own brand Pesqueira, a drool-worthy clothing store. Her stuff sells all over the world, California, Brooklyn, Berlin. Tokyo, you name it. She doesn´t stop at natural and sweet, she also has a darker side. Follow her blog here and find/visit Valeria´s shop at Pesqueira. I love them!! They remind me to the illustrations of somebodyelse.. I don't recall his/her name right now.. Hmmmm. I'll tell you later. Take a look at mine on my last post. They're mixed media collages with my photos and illustrations. Let me know what you think, please!! cheers from Spain! Lilly Pullitzer print team designer, Paige Smith. Also they remind me to Sian Zeng — Magnetic Woodlands Wallpapers. I'm sure you'll love them both! I love it ! Argentina is full of talent! Just love that «forest» inspiration!